String are made immutable in java because Java maintains a String pool in perm gen space of memory. 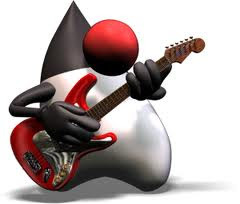 If the strings are mutable then it will be impossible to maintain the constant string pool in java. Security , Synchronization and Class Loading mechanism also the reasons behind making string Immutable. System.loadLibrary(String lib) loads the native library files from system(for windows it is dll). It searches the library in paths defined in System property "java.library.path". Null is a special type[apart from primitive and reference type] in java which has no name.You can not declare variable as null type and can not cast anything to null .It is neither class nor instance. Daemon Threads are background threads which do not prevent the jvm to wait for them to finish. If there is even a single non daemon thread running , JVM will not exit.